Louboutin Love Flats – If you’re a fan of asymmetry, these Love Flats from Christian Louboutin are perfect for you. When you keep your feet together, they form the word love which adds to an overall more girly look! Chanel Flats – Chanel has a number of flats for you to choose from. Their ballerina flats collection comes in a variety of colors and textures. You can choose from solid leather pieces with contrasting toe caps or those which have lace bodies and ribbon details. 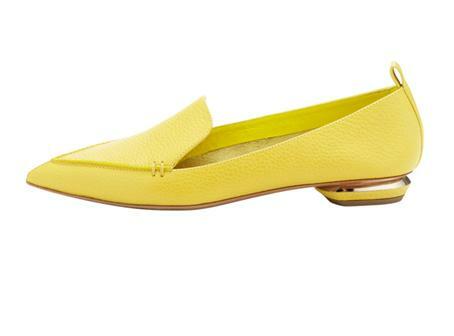 Nicholas Kirkwood’s Pebbled Pointed-Toe Loafer – If you are a fan of the loafer structure, then this is the pair for you. It has a low heel and elegant pointy toe. The texture of the leather makes it perfect for dressing up a casual jeans and shirt outfit. Shoes of Prey Oxfords – Shoes of Prey is an online shoe making website which offers oxfords that are pre-made. You can make your own shoes but I can tell you that their simple yet chic oxfords would be a great and comfortable addition to your flats collection. The Swiss Dot Ballerina Flats from Zara – If you want something dainty and reminiscent of your childhood days, I would suggest these dotted lacy flats from Zara. The capped toe is paired with a slender ribbon to give that truly ballerina feel. Espadrilles – You can get great espadrilles to complement your look. A lot of different brands offer this structure and it is great for casual wear; pair them with walking shorts or loose jeans. D’orsay Flats. 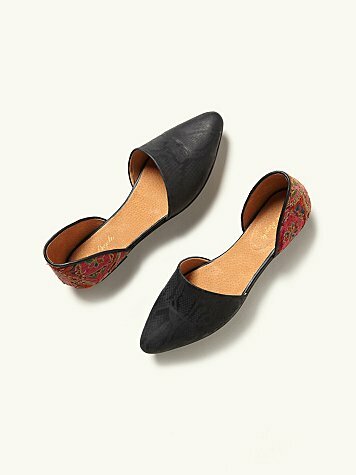 If you have high arches that you would like to flaunt, go hunting for D’orsay flats such as the Rajah Flats from Free People. They look great with dresses. Try to look for these pieces next time you go shoe shopping. Have fun! ← Previous Story Which Skirt Length and Style is Best for You?